So I apologize for the lack of new cakes, but I have to go to school sometimes. Oh yeah, and my apartment is finally reasonably cleaned up after the I.C.E.D. competition so I need to enjoy it for a little bit before I dirty it up. Don't worry, I'm not out of ideas yet. Here are some of the professional pics from the competition, courtesy of Elise Kersey Photography. Did I mention I loved the floral tier on this cake? And did I also mention I have nowhere to store this cake, so it's currently my centerpiece on my dining room table?? I feel my stringwork could have been just a little cleaner, but I was still happy with the results. Except for the part where I broke one whole section after turning the cake right side up. I wasn't too happy about that result since I had to redo it, cramped hand and all. 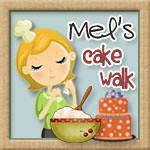 Here I am receiving one of my awards from my blog buddy, Melanie Judge from Mel's Cake Walk. This was the first time we actually met in person, though we've been corresponding via email for about a year-- she was relieved that I was at least mostly normal in real life. :) Thanks again to Melanie and her mom for being great hostesses! And finally, here I am with the judges: Edna De la Cruz, Mercedes Strachwsky, and Rebecca Sutterby. This is a beautiful cake!! I would love to be able to travel and go to these showcases and competitions!! I need to look into what they have here in Atlanta!! hi! i'm a new fan.. i love every works you have done! they are so beautiful and perfect! sorry for my english.. i'm studying yet!